After the fantastic birding safari, we returned to Sarova Lion Hill Game Lodge in Lake Nakuru for breakfast. After breakfast I settled down by the cottage to soak in the ambience of the Game Lodge. As I was relaxing, I heard calls of some birds, so I quickly setup my camera on a tripod, just in case. After about 10-15 minutes of waiting, a beautiful White-eyed Slaty Flycatcher flew by and sat on a perch close to where I was sitting. I swiftly took a couple of images. The bird flew away and I quickly moved my chair to a closer position with better angle to that perch hoping for it to come back. 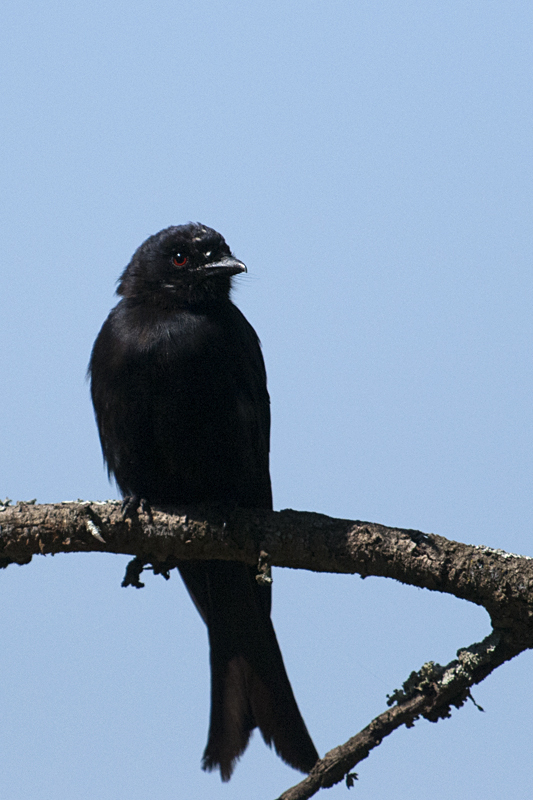 While I was waiting for the White-eyed Slaty Flycatcher, a Common Drongo settled down for a thorough preening exercise. Ten minutes after the Drongo moved on, a Northern Olive Thrush, busy foraging, came so close to my chair that it filled the view finder of my D300. 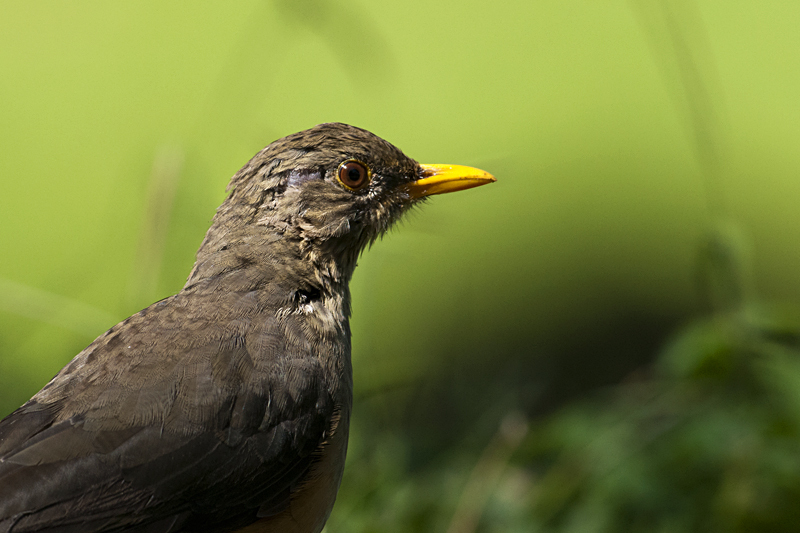 I managed a couple of sharp portraits before it noticed my presence and flew away. Forty minutes went by with no action and then it was the turn of a Cliff Chat to pay me a visit. This small bird was curious and came a bit closer to check on me. As I took a few pictures of this cute bird, the White-eyed Slaty Fkycatcher came back, about an hour after the first sighting. I turned my attention to it and managed to get a few good images and that made the feature image of this post. Around mid-day, the bird activity in the shaded undergrowth was at its peak. 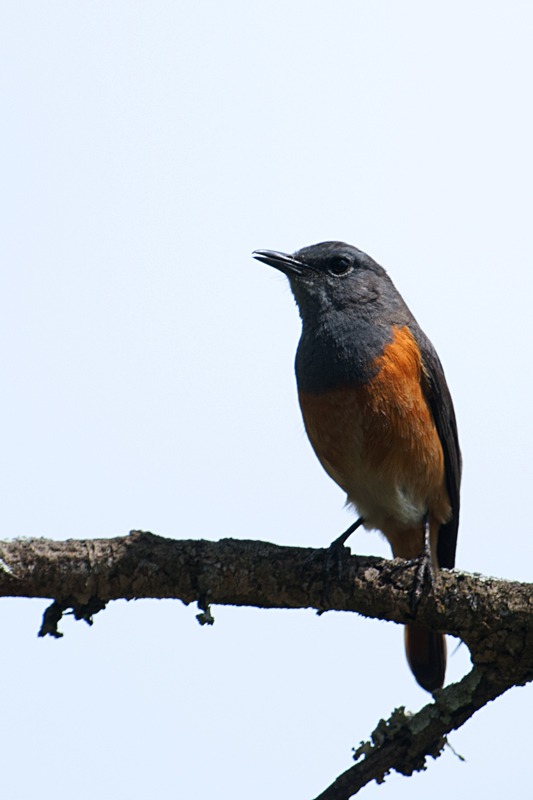 I spotted a White-browed Robin-Chat, a Grey-backed Camaroptera, but managed only record shots. 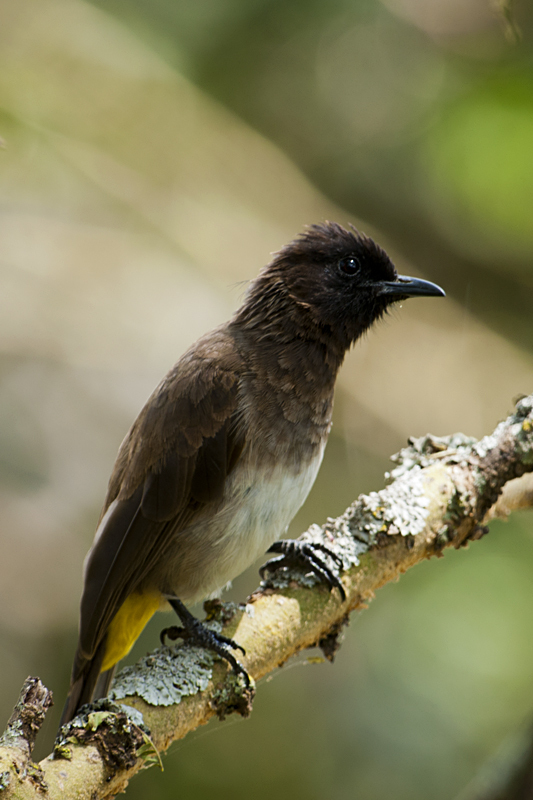 Then a couple of Common Bulbuls settled down for a mid day preening session. 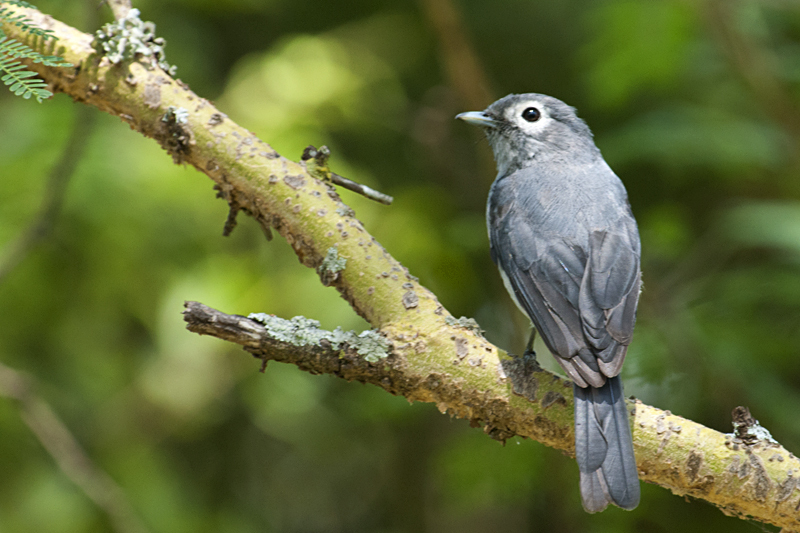 Finally, my favorite White-eyed Slaty Flycatcher came back once again. But as I had already got decent pictures, I just sat there and observed this curious little bird. I was very happy with my arm chair birding and soon it was time for lunch and I packed up my gear and headed out. 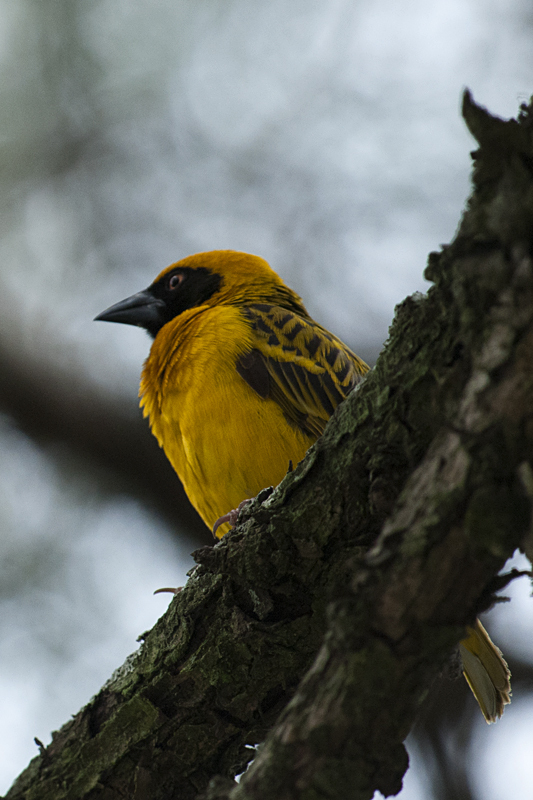 As we were waiting for our guide, I spotted a Speke’s Weaver sitting high in the branches of a tree. I took this final picture before heading out on the evening safari in Lake Nakuru. Love the first shot. The soft backdrop and the light beautifully enhance the composition.